This book describes some of the most successful current RD practices in the European countryside. Written in an easy-to-read fashion the book takes the form of an ‘Atlas of RD’ with full-colour pictures of the case studies. The book also contains easily digestible analysis of the distribution, impact and potential of these RD activities in a number of European countries. This book presents a comprehensive and path-breaking overview and analysis of rural development processes throughout Europe. 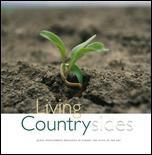 It profiles how new countrysides are emerging, characterized by new multi-functional enterprises, strong regional economies, new professional identities, and networks that interlink the rural and the urban. Multi-functionality, as the case studies from the different regions show, is a central feature of these changes, allowing farm enterprises to engage in new activities, such as agro-tourism, the production, transformation and commercialization of quality products, the management of landscapes and nature, the production of energy crops, part-time farming and new co-operative arrangements. By engaging in these processes, rural enterprises are strengthened and the countryside as a whole is more able to effectively meet the new demands emerging from society at large. The book offers for the first time a systematic analysis of the socio-economic impact of rural development. It shows that, in Europe, more than 50% of all professional farmers are actively engaged in one or another of these new rural development practices. And it documents how this significantly contributes to the overall income realized in the agricultural sector. The countrysides of Europe and the diversity and richness of their agricultural systems represent an undeniable social, cultural, ecological and economic patrimony for European society as a whole. In a scenario dominated by the negotiations of the WTO and the enlargement of the Union, rural development constitutes a key defense mechanism for protecting this patrimony. It is therefore highly important to sustain these ongoing rural development processes and to stimulate new ones. As this book demonstrates, some 75% of European farmers consider the Rural Development Policy of the European Union a positive and helpful instrument, which favours the diversification of their income strategies. This book is the outcome of a large-scale European research programme coordinated by Prof. Jan Douwe van der Ploeg of Wageningen University in the Netherlands. Many universities and research institutes from all over Europe have participated. The resulting book underlines the value and relevance of this type of international cooperation and research. The overall findings of the research stress that the maintenance of heterogeneity and flexibility in Europe's agriculture requires a strengthening of Rural Development Policies. The improvement of such policies should, on the one hand, build upon the impressive variety and heterogeneity that already exists and, on the other, reflect the richness of rural values and knowledge systems which together constitute the common roots of our European heritage. The results of such new policies are, as this book amply demonstrates, well worth the effort.